On our daily walk we pass by a community entrance feature that showcases various plants and flowers. A couple months ago I noticed these brilliant, magenta coleus plants and had to snap a shot with my iPhone. It turned out great but I wanted the same image captured with my DSLR, so I came back a few days later and was rewarded with the photo below. 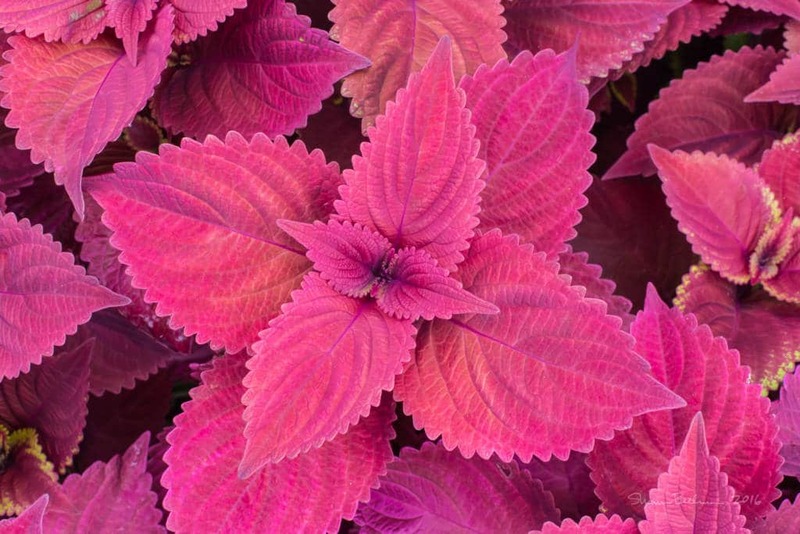 I’ve shot several of my mom’s coleus plants but never one with this spectacular color. October 12th, 2016 | Categories: Macro, Nature.